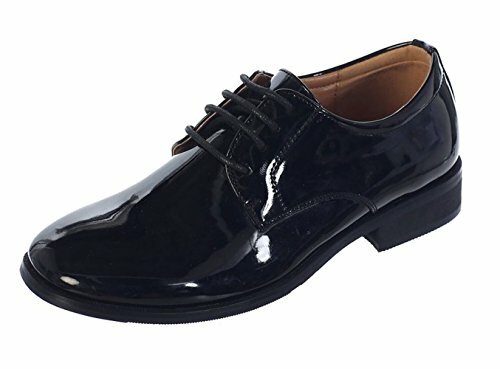 Avery Hill boys patent leather dress shoes. These shoes feature a shiny or matte finish and a slight raised heel. Simple handsome design with a rounded toe. Available in White or Black. Perfect for Christening, Baptism, church, weddings or any other special occasion. Features a shiny or matte finish, slight raised heel, and a rounded toe. Patent leather with cushioned sole; Available in White or Black. Perfect for Christening, Baptism, church, weddings or any other special occasion.